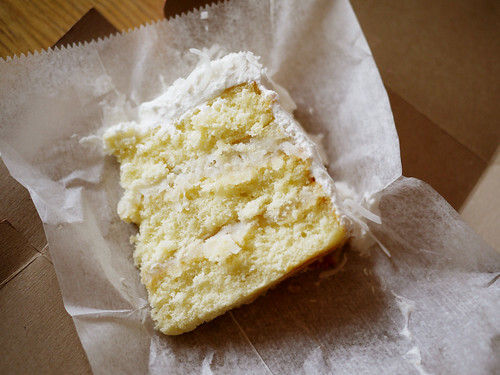 We asked for the least sugary cake at Little Cupcake Bakeshop and they pointed us in the direction of the coconut cloud cake. We then also asked for a half of a regular size slice (shown here), more than ample cake for the two of us. I think they thought we were a bit kooky. I'm ok with that.